Melissa LaRosa Interiors formerly Dolce Designs specializes in stress free and relaxing designs to fit your lifestyle from modern designs to coastal, cottage, traditional, rustic, chic and more. Call us today and let us help you transform your space into your personal paradise. There truly is no place like home. Coastal Life Design is the creation of Jennifer Strohl and Sondra Okada, Interior Designers with a combined 50+ years of experience in design and construction. 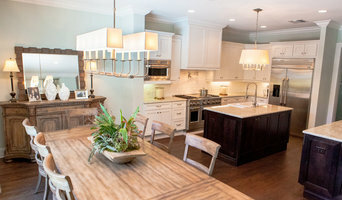 Their specialty is structural kitchen and bath remodeling, but they welcome projects of all types and sizes. Initial consultation is complimentary and determines the next best step for each individual client, based on their scope of work and needs for their project. Clients with a need for not only design but also assistance with product selection and a contractor to build the project will find that Jennifer and Sondra can provide a seamless remodeling experience with help all along the way. Turn key design firm with 50 years experience in new construction, renovation or simply updating a home with a fresh new look. Working with developers, builders, investors and private owners alike. Ralph’s Interiors specializes in interior design services for new construction, remodeling and interior detailing including construction selections, space planning and project management for developers, builders, investors and private homeowners. Family owned and operated since 1963, Ralph’s Interiors serves clients from southwest Florida to North Carolina and has a strong reputation for client satisfaction. Call owner Gayle Rector or design consultant Missi Cooper Youngblood at 941-488-3991 to schedule your personalized interior design consultation. Visit Ralph's Interiors Retail Showroom at 528 East Venice Avenue in Venice, Florida to see our amazing selection of custom upholstered furniture, lighting, accessories and much more! Check out the Showroom Page for samples of our hand-picked collections. With a creative eye and artistic flair, Ralph’s Interiors can help you achieve a home rich in beauty, comfort and function. We know the importance of listening to your ideas and understanding your needs — before any project is started! Starting with a thorough discussion and analysis of your lifestyle and desires, together we’ll explore the function of each room, from size and design to the multitude of details. Our objective is to provide a firm foundation from the beginning — avoiding costly and time-consuming changes later in the process. One stop shopping for the interior of your home. My services include space planning, color and style coordination. From furniture to window treatments to accessories, I am able to asist you in making your dream room a reality! See my work featured in House Trends April 2016 edition. I am a full-service, professional interior designer, Allied ASID. I specialize in commercial and residential interiors, and have a passion for Health Care Design! 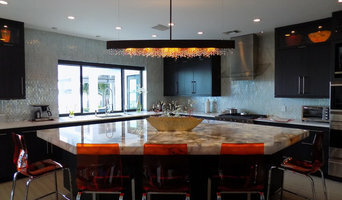 Surroundings Interiors, Inc. is a FL licensed full service residential and commercial design studio located in Tampa, FL. Sharon Laird is the principal designer and owner and has over 15 years of experience. As a professional member of ASID and a LEED Accredited Professional, Sharon is continually updating her education. Creating Surroundings that make YOU happy is our goal. All styles, needs and tastes are respected and incorporated. Browse our project photos and you will see many styles and budgets represented. I love my job! I am all about focusing on the design needs of my client, whether contemporary or coastal, industrial or Mid-Century modern. My design work will reflect your taste, your style and your design dreams! I look forward to getting to know you in order to help see you through your design project from conception to completion. Let the fun begin! Kim Harvey Design's compositions range in theme from the soft & simple to the bold & masculine, from quirky country to classic elegance. I design to delight the senses and create rhythm, flow & balance throughout our clients' living & working spaces. My goal is for all of my clients to be lifelong ones. Affordable Interior Design, Using what you own and adding some new. 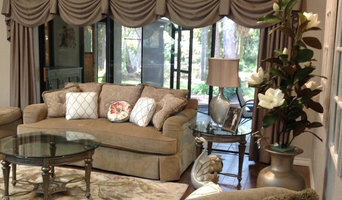 Janet Ott Incorporated is an interior design and procurement firm specializing in residential and commercial interiors. Our philosophy is that a well designed space will enhance and reflect a client’s business or lifestyle and that lasting relationships are developed by meeting and surpassing a client’s vision as well as coming in on schedule and in budget. President and owner, Janet L. Ott, ASID, has over 35 years experience designing interiors for a variety of project types including residences, multi family housing, senior housing, hotels, banks and corporate interiors. She attended Ohio State University and received a Bachelor of Fine Arts degree in Interior Design and Space Planning from the Ringling College of Art and Design in Sarasota, Florida.